$174.99 $74.99 57% off *Discounted price shown in red box. Material: Finely meshed 4oz polyester material. 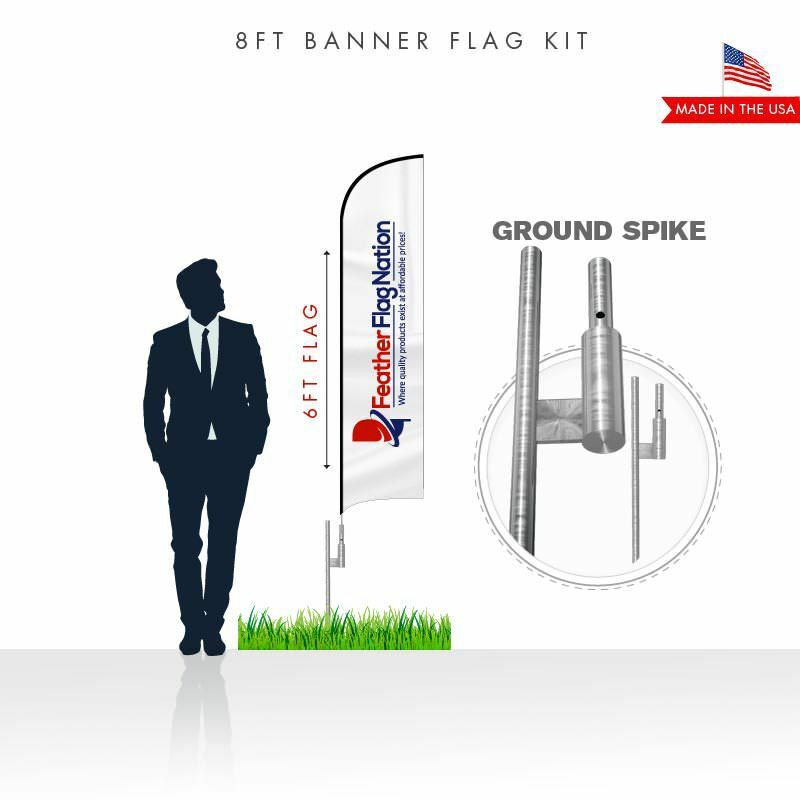 Crafted specifically for outdoor advertising banner flags. 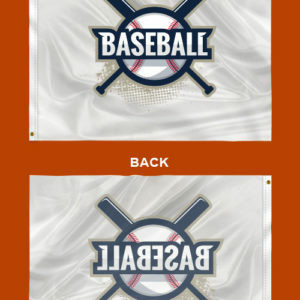 Double-sided flag finish: Two flags will be printed – one for the front and another for the back. Both flags will be sewn back to back with a 100% block-out in the middle. One side will not bleed to the other. Typical Use: These advertising flags can be used indoors or outdoors. They are great for businesses to create brand awareness. Another great use is for outdoor decoration at special events, such as converts, festivals, or sporting events. Lifespan: If these flags are used periodically, they will last 3+ years. If used long term outdoors under direct sunlight, the flags will begin to fade much quicker. 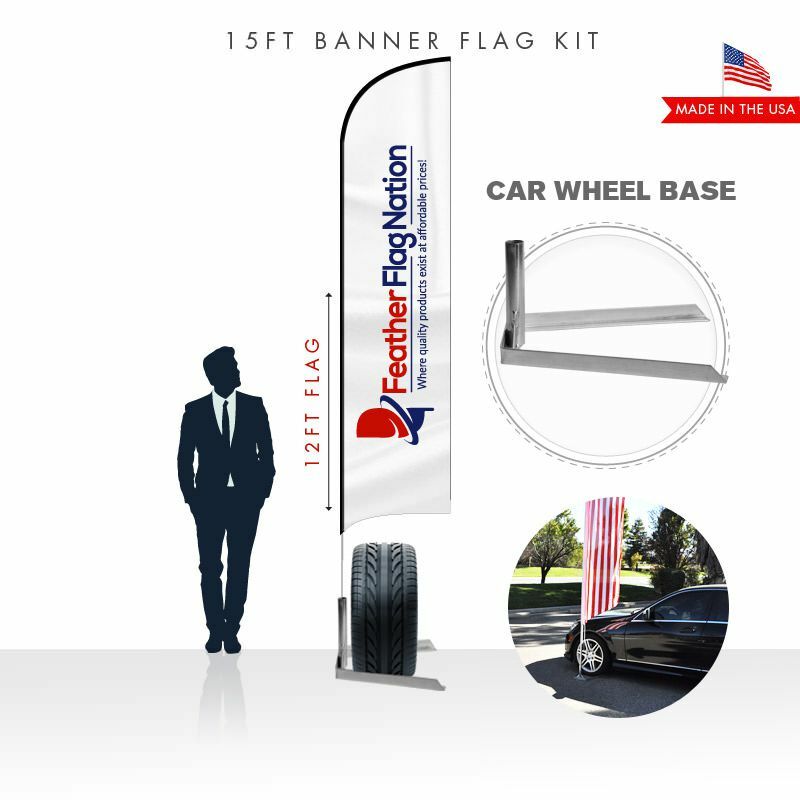 At Feather Flag Nation, we offer a variety of different shapes and sizes for custom advertising flags. Each of them have their own unique look and appeal. Which works best would depend on which one your eyes find more appealing. If you plan to have a lot of text, then the larger sizes and shapes with more design real estate are recommended. 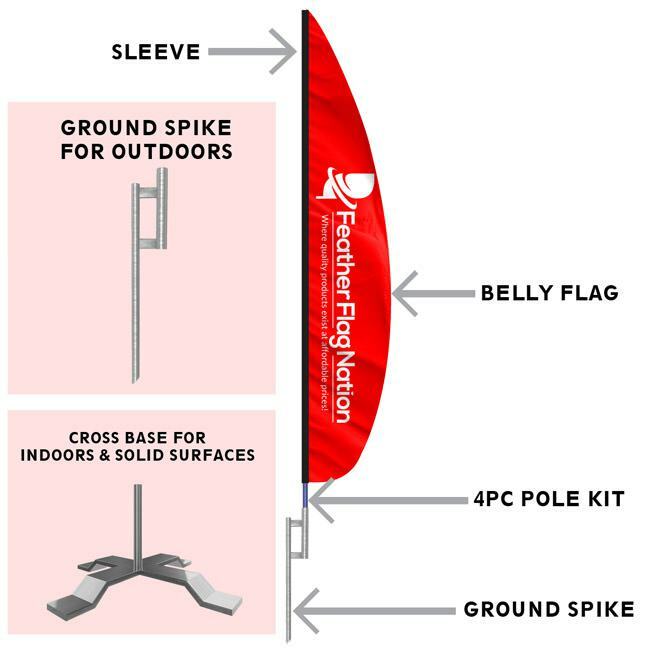 For indoor use, or tight spaces, custom feather flags or teardrop flags would be a better option. Banner flags belly style do require wind to properly display your graphics, so they are not recommended for indoor use, though you can if you like. Remember to keep your designs as simply and straight forward as possible. Especially for custom flags that require wind to stay open. Always assume your customer has only a few seconds to read your message, so you cant have a wall of text on them. Simply is more, when it comes to custom banner flags. Be sure to design all of your designs in CMYK color mode. RGB colors cannot be achieved for custom flag prints. 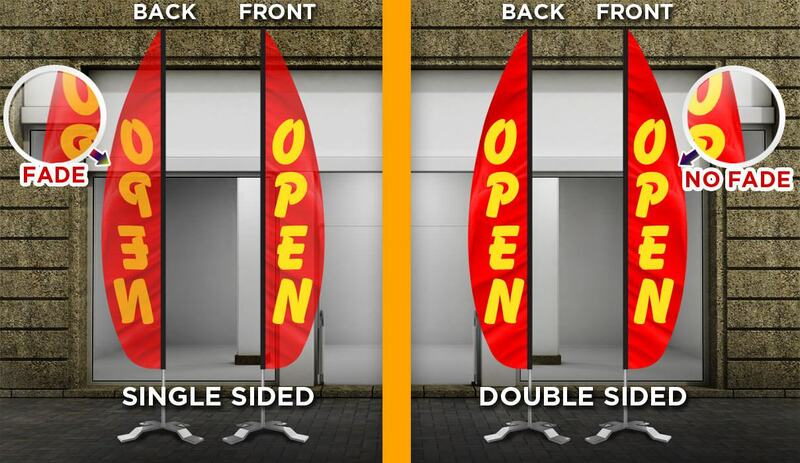 Banner flag belly shape flags are best for outdoor use.